Gary Sherrer on Wednesday leaves the Kansas Board of Regents meeting after announcing his resignation from the panel. Seated is Vice Chair Ed McKechnie. Board members said they were shocked by Chairman Sherrer's decision. Topeka ? 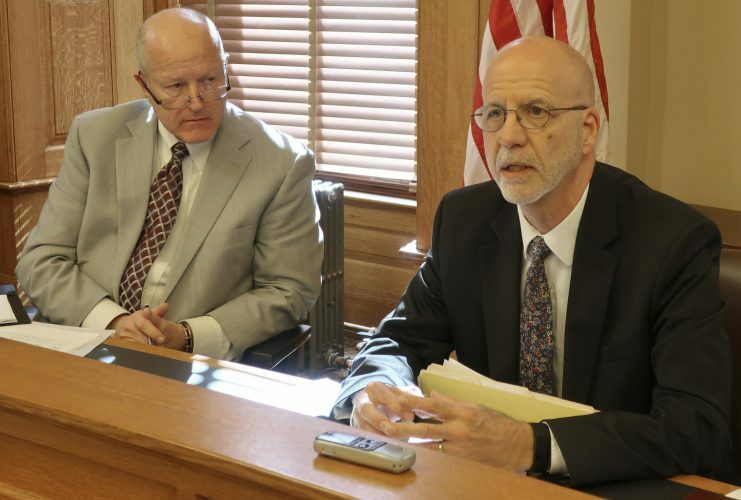 Gary Sherrer, the chairman of the Kansas Board of Regents, on Wednesday shocked the Kansas political and higher education world by announcing his resignation at the regents’ monthly meeting and then walking out. 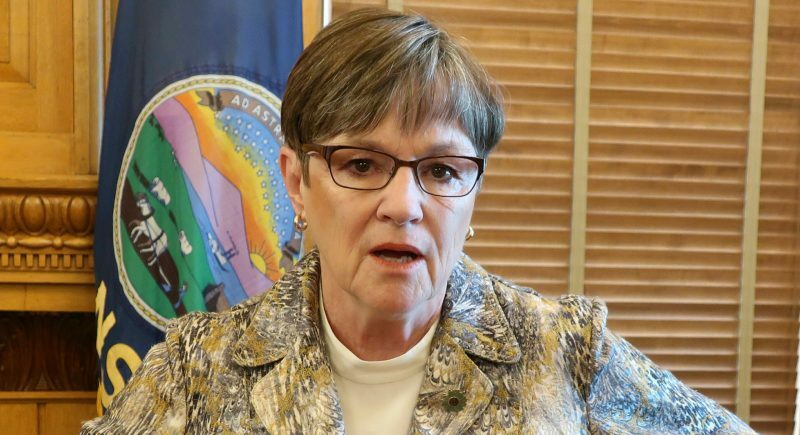 The former lieutenant governor who has been a high-profile figure in state government for years said there existed an environment of mistrust and disrespect between himself and several members of the board, which oversees higher education. When asked, he refused to mention any names. “This negative relationship is not in the best interests of Kansas higher education,” said Sherrer, of Overland Park. As Sherrer left, he received a standing ovation from the regents and those attending the meeting. 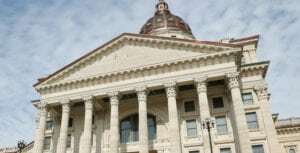 “Thank you very much for your service to this board, and thank you for your service to the state of Kansas,” said Vice Chair Ed McKechnie of Arcadia, who then presided over the rest of the meeting. Later, in speaking with reporters, Sherrer said he was upset that his fellow board members refused to select him to lead a search committee to find a new president at Emporia State University. 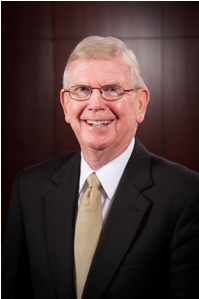 The current ESU president, Michael Lane, had announced his intention to step down June 30. Sherrer graduated from Emporia State and has fond memories of the school, saying it changed his life. He said it would have meant a lot to him to chair the search committee. 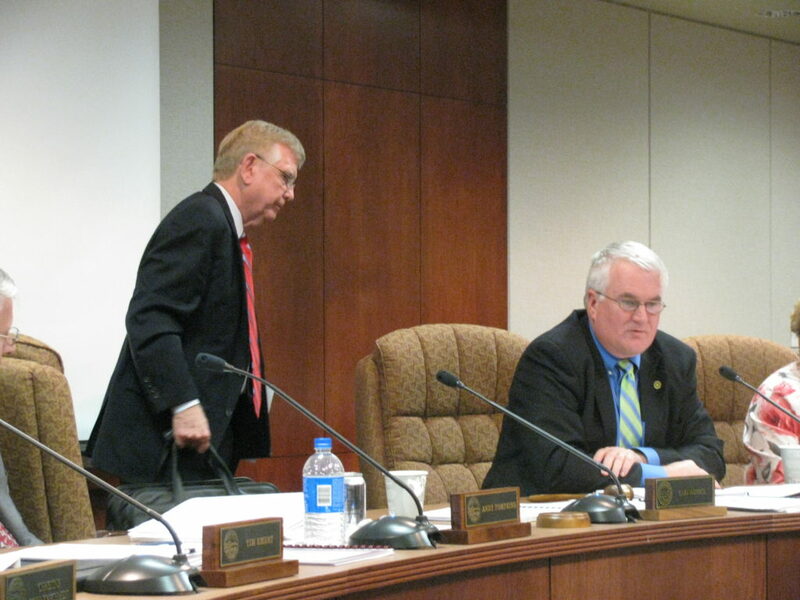 Sherrer’s four-year term on the board of regents was scheduled to expire at the end of June. But, he said, he didn’t want to wait to leave. “I am getting too old to be in places I don’t want to be, with people I don’t want to be with,” said Sherrer, who is 70. Board members said they were disappointed and stunned. Regent Tim Emert, of Independence, said, “He has to do what he has to do.” He said Sherrer wasn’t selected to lead the search because he was too close to the situation at Emporia State. “It’s very divisive down there,” Emert said. The current president, Lane, announced his departure, saying that after he had been mentioned as a candidate for the presidency at another school, some had questioned his desire for the ESU job. Regent Christine Downey-Schmidt of Inman said she was surprised by Sherrer’s action. “We’re all feeling, ‘What just happened? '” she said. She said she was sorry if Sherrer felt slighted but added that often individual regents members don’t get their way. The search committee hasn’t been designated yet. 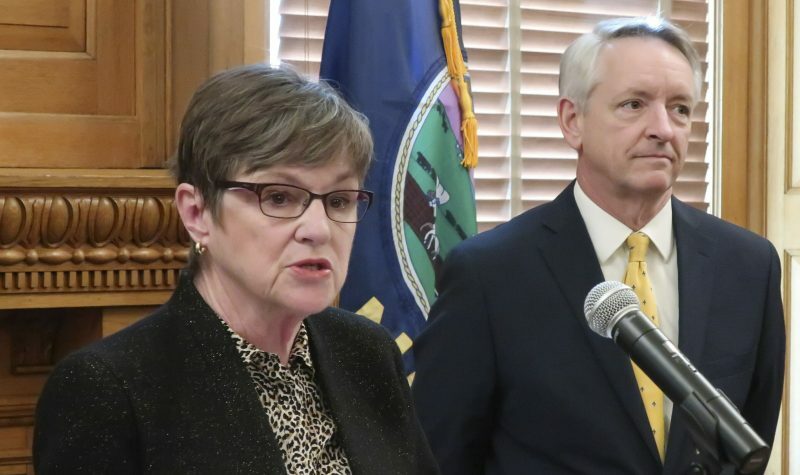 Kansas University Chancellor Bernadette Gray-Little said she had no idea Sherrer was stepping down but knew something was up when Sherrer started talking about his accomplishments on the board. Gray-Little said she knew of no problems among board members and if there were any, she said, they wouldn’t involve the universities. 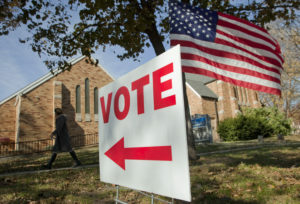 Sherrer, a Republican, was appointed to the board by former Gov. Kathleen Sebelius, a Democrat, in 2007. He served as lieutenant governor and secretary of commerce under former Gov. Bill Graves, a Republican. During his time on the board, Sherrer said he was able to initiate long-range planning and higher education advocacy projects. He also chaired a task force that led to adoption of legislation giving the regents the ability to raise admission standards. Sherrer said he didn’t expect to be re-appointed to the regents by Gov. Sam Brownback, also a Republican. For some time there have been serious philosophical differences between myself and some members of the Board of Regents. I believe Regents have a responsibility to aggressively seek and implement changes required to provide a competitive, high quality 21st Century system of higher education. Some Board members have opposed this philosophy and prefer a more laissez-faire approach to governance. 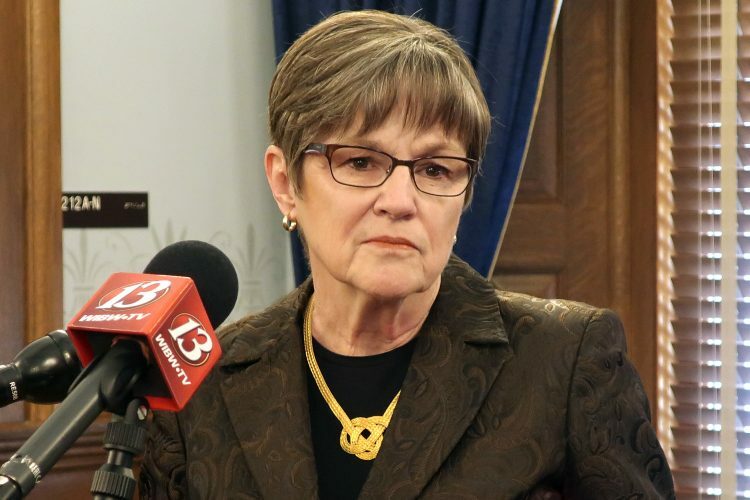 Unfortunately, some Board members have made these issues personal and allowed personal feelings to influence them in important Board decisions. There now exists an atmosphere of mutual disrespect and distrust between many Board members and myself. This negative relationship is not in the best interests of Kansas higher education. Therefore, I am resigning as a member of the Kansas Board of Regents. Initiating the questions and concerns that with the able leadership of Reggie Robinson and Andy Tompkins resulted in Foresight 2020, a strategic plan for all of higher education. Chaired two task forces on admissions. One resulted in legislation giving the Board authority over admissions standards, and one that raised the standards. Implementation of employee background checks at all state universities. Enhanced CEO evaluations including “360” surveys and first semester visits by teams of Regents focused on CEO goals. Regents for the first time conducted a visit to all community college and technical college campuses. Economic impact study showing the value of the state’s investment in higher education at all levels. Design of the Kansas Commitment, in advocacy for funding of higher education. Contained the basic elements of the recently-passed engineering initiative. Appointment of an Articulation and Transfer Task Force that has as a focus enhancing the transfer of credits to universities from community colleges and technical colleges. There are great things happening in Kansas higher education. I am grateful to those who lead it, I will miss working with them, and I wish them continued success.